I always enjoy getting packages from Rasmus Vilain Albrechtsen and Emil Vilain Albrechtsen. I recently did a very favorable review of their By Vilain Gold Digger Styling Wax and have just received another great product in their Silver Fox Hair Wax. If you're not familiar with Emil and Rasmus, they are good looking twins with really great hair and the guys behind the very popular Slikhaar TV YouTube channel (it's a great source for styling tips, by the way). Their Silver Fox product gets its name from the color of the product -- a silvery gray color. But does it work? Yes. Quite well, actually. By Vilain Silver Fox is a high-hold styling wax that gives a medium shine finish. Like the similar Gold Digger (and other waxes), this product is extremely strong. The amount you use will help determine your hold factor -- use a very little bit for lighter hold (or fine hair) or a larger amount for stronghold (or very thick hair). Because this product has some shine factor, I like it for the more groomed styles, but it can also be used for highly texturized styles where some shine is desired. 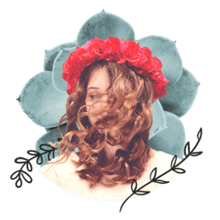 The product works much like other waxes and pastes -- to get the most out of the product, work a small amount around in your palms until the product begins to get warm and then work it through slightly damp or dry hair. This is called "emulsifying" the product and it is essential in order to get even coverage. Like Gold Digger, this product also begins to "set" rather quickly (it gets tackier and more glue-like), so work fast. If you need to loosen it up, just add a bit of water to your palms. You can also "cocktail" the product (which means using more than one styling product) with another if you want to create more shine (or less) or additional texture. I'm using this on some of my pompadour clients -- I start by blow-drying the hair with a little spray gel to create height and then adding Silver Fox for control and a little shine. Works really well. The guys' Slikhaar TV Youtube Channel has some really great videos that will show you more on how to use Gold Digger. I'd recommend visiting the channel once in a while -- it's a great resource for styling and Emil and Rasmus are entertaining to watch as they describe products (English is a second language for them). While I do find the product a bit too aggressive for most of my clients with fine or thinning hair, it does work well on medium or thick hair. You can create sleek styles or aggressive texture and, once the product sets up, your hair is not going anywhere. It is, however, a pliable product so you can work with it throughout the day if you need to freshen up or change up the style a bit. The silver colored product has a pleasant light smell (just a bit like sugar cookies) and has the consistency of a light clay or heavy cream. It is a wax based product, so you will need to shampoo it out. I like a clarifying shampoo such as Redken for Men Clean Brew for this purpose. It's a great, unique product for those who desire extreme hold and a light shine. At around $21, it's fairly priced considering the great quality. It is readily available on the Slikhaar website, but you'll be hard-pressed to find it in the US anywhere else. It's worth the wait. The only real downside is that it can be a bit tough to wash Silver Fox off of your hands, but that's going to be typical for most any strong wax-based product. 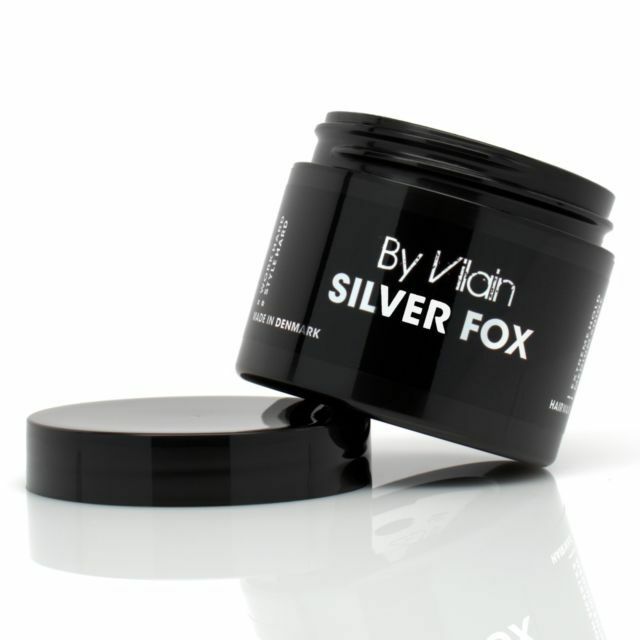 I can confidently recommend By Vilain Silver Fox for those looking for extreme hold and a light shine. More good stuff from the twins!